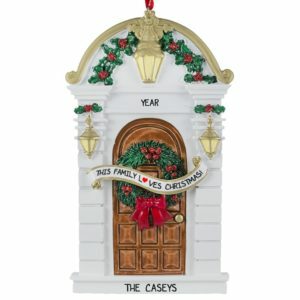 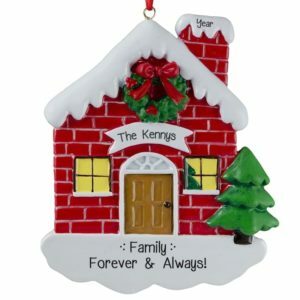 Browse our unique selection of Family or Group of Twelve and More Christmas ornaments! 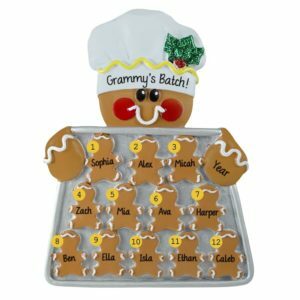 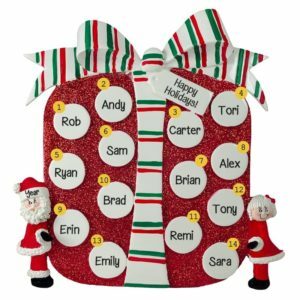 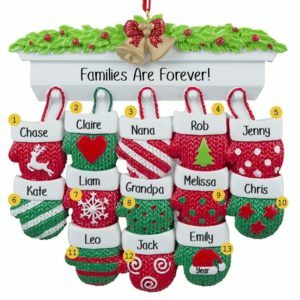 Deck the halls with personalized Christmas ornaments for a family or group of 12 or more people for an extra dose of holiday cheer! 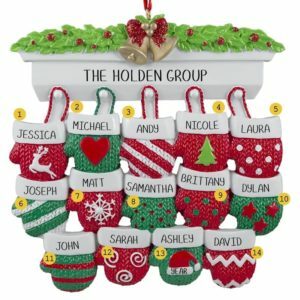 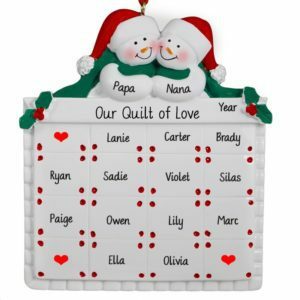 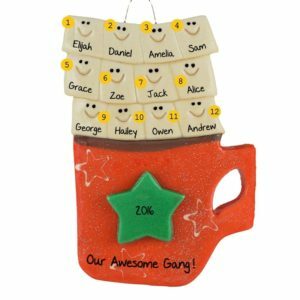 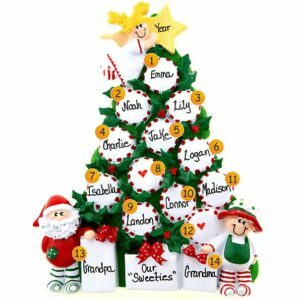 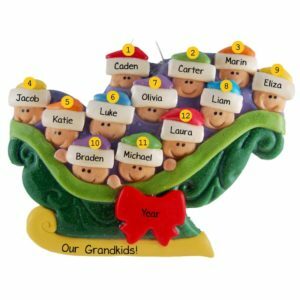 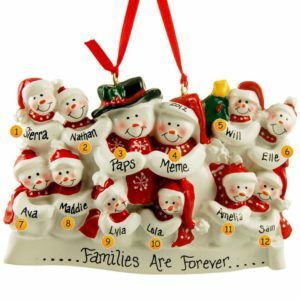 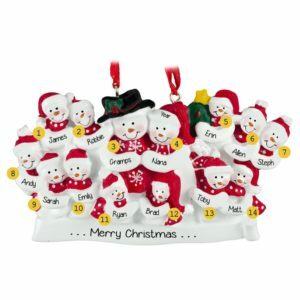 View our wide selection of group personalized ornaments to find the ones that are just right for a family, a team, co-workers, friends or any group of people that have a special place in your heart this season. 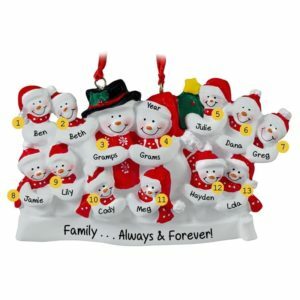 Pay tribute to a special group in your life such as 12 best friends, 13 cousins, Mom and Dad and 10 adopted children, 14 grandchildren, 20 person hockey team or any large group. 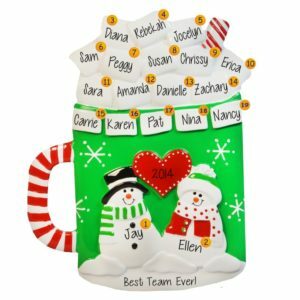 Our customized holiday gift idea for many people will be wonderfully hand personalized by one of our talented calligraphers. Our best selling themes like our over-sized tabletop present, peppermint tree and hot cocoa mug with marshmallows are sure to be a hit with the lucky recipient. 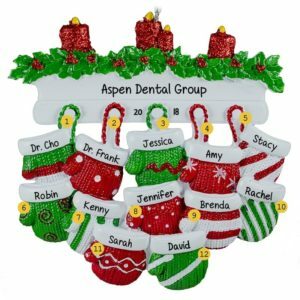 Contact customer service for a group order of 10 or more of the same item to receive special discounted pricing available during most times of the year.